EAT are an innovative brand and were keen to try new digital ideas to improve the food and customer experience. 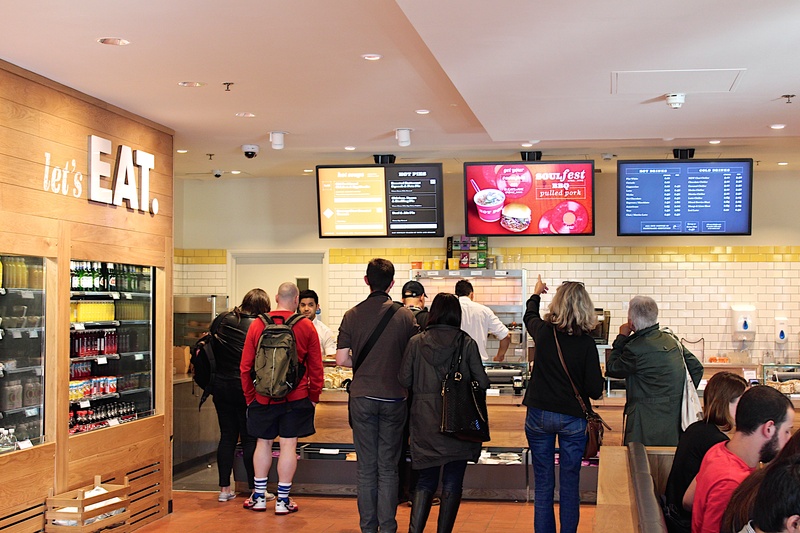 With an average selling time of 18 seconds per customer, the digital menus needed to fit the EAT brand experience and provide a quick, correct and easy-to-understand menu. EAT required comprehensive central control and simple store-level management, able to keep up with the fast pace of multiple daily menu changes. 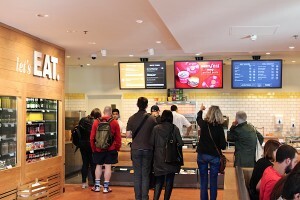 A typical EAT store uses three Philips 47” IPS LED screens which are driven by a custom menu solution, developed by Beaver Group, harnessing the power of the Scala digital signage platform and its API. With an average selling time of 18 seconds per customer, the digital menus needed to fit the EAT brand experience and provide a quick, correct and easy-to-understand menu. EAT required comprehensive central control and simple store-level management, able to keep up with the fast pace of multiple daily menu changes. The custom ‘Menu Manager’ solution is populated centrally by EAT Head Office for all stores. To accommodate the multiple daily changes needed by the 113 stores – such as sold out products – a user-friendly and web-based store-level interface was also created. Each store has their own login and is able to change options for their screens immediately and independently of the rest of the EAT estate. This means that Head Office still retain overall control of the menus and brand, per store, whilst local management have a quick and simple way of changing their products, without affecting store operations at peak periods with lengthy menu updates. Since the successful trial at The Strand, the menu solution has been rolled out to 53 stores, with the remaining to be completed by December 2014.